The Sunsphere | Just Shooting Memories! 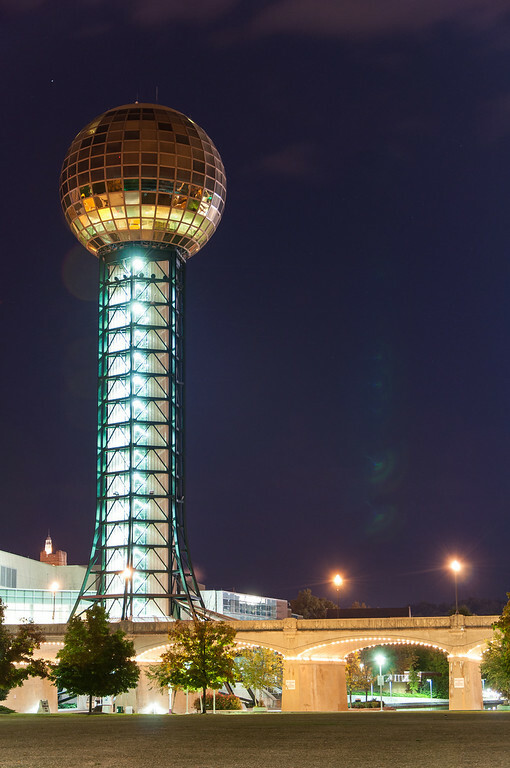 Designed and built for the 1982 World’s Fair, the Sunsphere remains an iconic landmark in Knoxville, Tennessee. So, of course, I had to make a trip to visit. The World’s Fair park was impressive, but not so much the Sunsphere. It was neat to get to go to the observation deck and watch the city. I wanted to get some skyline shots from the observation deck at night, but the reflections from the lights inside the deck prevented that. So, I settled for a few shots from outside.